Alston Wingtail is a simple man-a villager, lowborn, and untouched by Magic. He is also a deliverer, one of those folk who run parcel over Road and across the land, those folk we take for granted until it is us in need of delivery. Indeed, he is the latest in a line of proud and honorable souls to choose that vocation. And, however small his lot in life, he has vowed to make the most of it, so to be included in their number. This adventure will give him that chance. 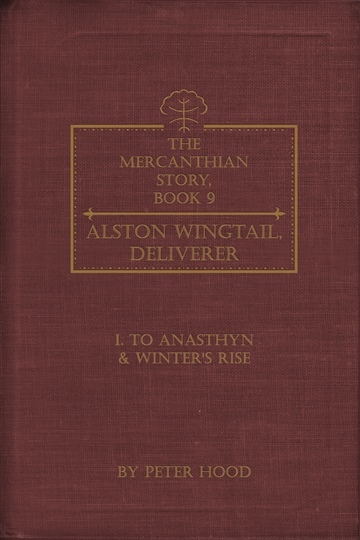 His story begins with a summons from the King of Mercanthia’s Eastern Forests, a bid to leave home at a most inopportune time, and takes off in earnest when he picks up an unexpected delivery along the way, one unlike anything he has carried before and one that will require him to call upon every bit of his courage and character. But, in the face of the obstacles that will place themselves between Alston and the turn of his path, will he be able to endure? Will he have to do so alone? And will he make it back home in time to be with his family when they need him? This story, The Mercanthian Story, is a series of separate tales that combine to tell one large narrative. Indeed, each book in the series is its own unique story, having its own characters with their own exploits and adventures, and does not require the reader to have read any of the other books to read the one they happen upon (a fact which is especially helpful seeing as the Story is told out of order anyhow); however, as each tale is told, it will hint at tales that are to come after and color in the edges of tales that have come before. In this way, the Mercanthian Story will unveil itself to the reader over time. 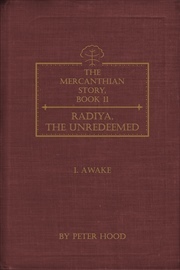 This book that you have happened upon here, while number 9 in the greater Table of Contents, is the second to be released. As all the stories that will follow, it will be released serially, one part each month. In between, if you wish, you can learn more about this Mercanthian Story at the website, which includes the ever-growing Timeline and Table of Contents. Lastly, so that you know we will not only be traveling together over this time but will also be seeking to make a difference in our own world as the characters we read about seek to make a difference in theirs, each book in the Mercanthian Story has an organization attached to it that is based on some issue raised within that book’s pages and 10% of the profits from each book will go to its affiliated cause. 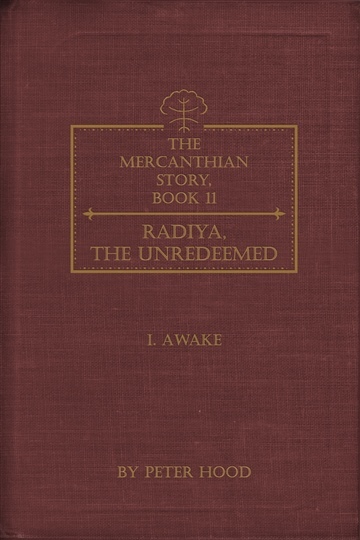 And, if you would like to read the book that was released first, you can find "Radiya, the Unredeemed" in the Kindle Store (for free this week, 6/5-6/9). You can also find the first part of it here at Noisetrade. Peter Hood likes to travel, through this world or others, and try to put into words the things he sees. Oftentimes, he feels he falls short of doing so adequately. In that way, he hopes he has not offended anyone in listing the fabulous authors he did under the "For Readers of" section he had to fill out. Also, he feels odd writing about himself in third person. But he did it anyway.